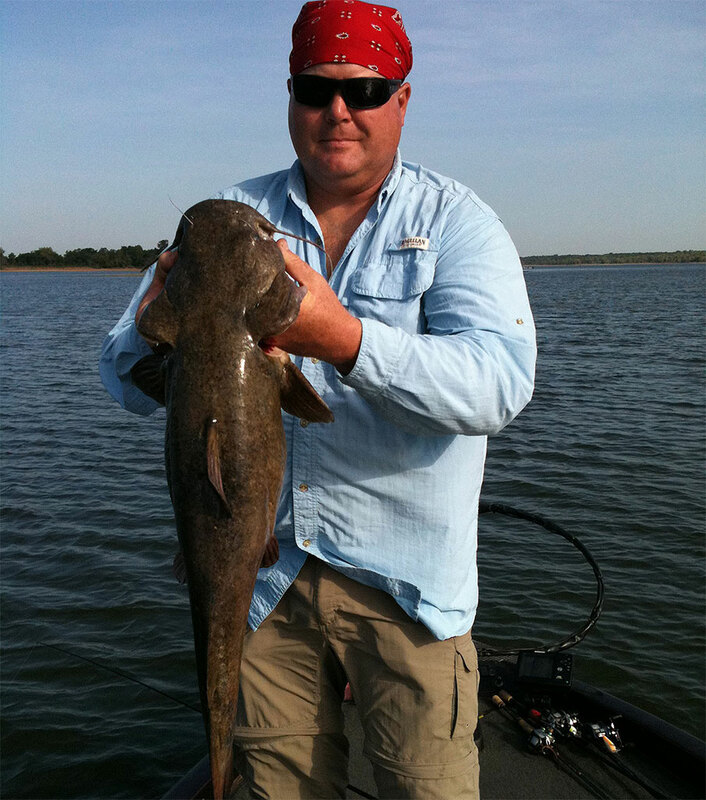 Can catfish be caught using artificial lures? Certainly. Here’s evidence. I recently examined all Master Angler Program submissions for a full year in Nebraska. Anglers submitted 415 qualifying catfish including 309 channel cats, 96 flatheads and 10 blue cats. No qualifying blue cats were caught on lures, but 22 channel cats were (7 percent) and a whopping 26 of 96 flatheads (27 percent). How many of these cats were taken intentionally using artificials? I don’t know; program records don’t include such information. I’d bet my next paycheck, however, it was few or none. Anglers rarely pursue catfish with artificial lures. Most catches are incidental. While fishing for bass, walleyes or other species, the angler nailed a cat and submitted it for recognition. To increase your success using lures, it helps to understand factors influencing a catfish’s food selection. To do this, we must first understand some basic facts about catfish senses. Fact #1. Despite having tiny eyes, catfish have excellent sight. In muddy waters, good eyesight offers few benefits. But in clearer water, catfish use their acute vision to help pinpoint prey. Fact #2. Catfish have good hearing, as well. The specialized construction of a catfish’s internal auditory system allows it to detect sounds in a wide range of frequencies. Fact #3. Low-frequency sounds undetectable by the catfish’s inner ear are picked up by the lateral line. The catfish uses this system to pinpoint low-frequency vibrations emitted by food animals scurrying across the bottom, flopping at the surface or swimming. Fact #4. The catfish’s senses of taste and smell are unexcelled in the animal kingdom. The skin, whiskers and surfaces of the mouth and gill rakers are covered with taste buds, and a highly evolved olfactory system allows catfish to smell some compounds at concentrations as minute as one part per 10 billion parts of water. Fact #5. A catfish uses as many senses as possible when searching for dinner. The sensory organs detect chemicals, sounds, vibrations and/or visual stimuli from potential food items and send messages to the fish’s brain telling it to find, chase and/or eat the food. What does this mean for anglers fishing with lures? It works like this. A lure that stimulates one of the catfish’s senses may be attacked. A lure that stimulates two or more senses almost certainly will be attacked. Let’s say you’re fishing a jig with a soft-plastic, shad body. This lure emits no sounds or scents. If you fish it in muddy water, it can’t be seen either, so it’s useless as a catfish bait. Let’s say you fish that same jig in clear water. Now a catfish might take it because the lure can be seen. If you continued fishing the jig in muddy water and added a crawler or minnow to the hook, again there’s a chance of catching a cat because the fish can detect the scent or taste of added live bait. Now let’s try a jig/minnow combo in clear water and change to a rattling jig head. Chances of catching a cat grow exponentially because now we’re stimulating all the senses. Catfish can see the lure, hear it and feel the vibrations. They can taste and smell the added live bait. Starting to get the picture? The best lures resemble natural prey items, such as baitfish, crayfish, frogs or worms. And those that resemble injured or slow-moving prey items are best of all, a fact to consider when retrieving your lure. It’s also important to place the lure where catfish lurk, places such as channel edges, riprap and stream bends. Remember the high percentage of Nebraska flatheads caught on lures? I’m guessing most of those lures were used by bass anglers fishing near woody cover. Flatheads love this type of cover, and they’re quick to attack live baitfish, or lures resembling live baitfish such as many crankbaits, jigs, spoons and spinners. If those lures were tipped with live bait (as many were) or had rattles or components that vibrated or flashed (as many did), their effectiveness was further enhanced. So, should you target cats with artificial lures? That depends. If you prefer catching as many cats as possible, especially trophy cats, you’ll probably do better sticking to “regular” cat baits. But if you enjoy more challenging endeavors, give lures a try. Catching cats on artificials adds another fun dimension to this multifaceted sport.